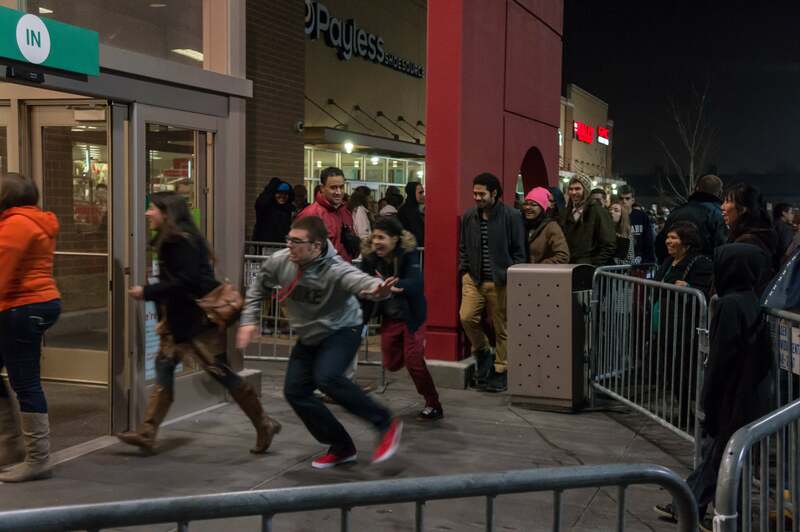 Once long ago, Black Friday referred to a single day of shopping excess. People woke up early the Friday after Thanksgiving, headed to malls, and fought over sweaters and TVs to score the best deals. Times have changed–enough so that we’ve created this guide. These days, Black Friday is no longer a single day of the year. It’s now a vaguely defined period in November, during which you’ll find a mix of incredible loss-leader discounts, solid price reductions, and a slew of questionable “bargains.” The time creep only worsens each year, too. A longer run of sales actually makes it harder to decide if you should buy an item or wait for a better deal, so we’ve stepped in to simplify deal-hunting. With our help, you’ll know when retailers unleash a juicy bargain. When is Black Friday this year? Technically, Black Friday is always the fourth Friday of November–the day after Thanksgiving. For 2018, that’s November 23. (It’ll be followed by Cyber Monday on November 26–a shopping holiday that online retailers cooked up to get some of the attention physical stores had.) But the real answer to the question is: Black Friday will start sometime in November. Retailers keep trying harder and harder to outrace each other to our money. Last year, we first spotted amazing deals in early November (see the list here). It’s entirely possible we could see great bargains crop up at the very start of the month. That said, the best deals still typically appear during the week of Black Friday. But since nothing is 100 percent predictable, be prepared to snag excellent one-off deals both before and afterward. The other option is to plunge into the deluge yourself. To actually save money–and not blow that cash on just more stuff–you need to make a plan. 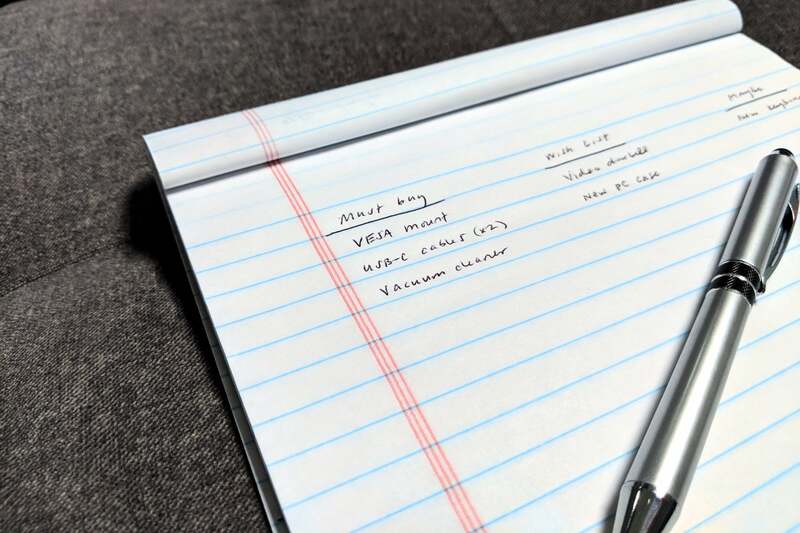 Whether it’s in your head or written out concretely, know in advance what you plan to shop for, the price you prefer to pay, and the max price you’re willing to pay. This list will look different for everyone. For me, the price I prefer to pay usually involves a hefty discount, and my max price usually isn’t too much higher. My list also includes items I might need to replace soon, as well as products I use regularly and should stock up on. Hopefully your list is more exciting than mine. Bargain hunting doesn’t always go predictably, of course. Some years, you’ll nail nearly every major thing on your list. During others you’ll find a deal on just a few things, but also unexpectedly snag five stackable 1-year licenses for Microsoft 365 Personal for £15 each. But having a plan means you’ll know exactly what to keep an eye out for, and what’s worth zeroing in on. Not all deals that crop up during Black Friday are good discounts. Many are mediocre, designed to lure you into spending because you think you’re getting a bargain. Doing research on the products you want to buy can save you some serious cash, whether or not you make a spending plan. Camelcamelcamel.com: This site gives historical price information for products on Amazon. Because there’s a graph showing the trend over time, you can tell how often a product goes on sale, what the most common sale prices are, and what the lowest price was. BFAds.net and BlackFriday.com: These sites publish leaked scans of Black Friday ads for major retailers (Best Buy, Target, Newegg, Fry’s, Micro Center, etc.) While none of these prices are guaranteed to go live, these scans provide early reconnaissance on which retailers will have which products on sale, and what the prices will roughly be. Slickdeals.net: This set of forums crowdsources deal-hunting. Frontpage deals are supposed to be the absolute creme de la creme of the bunch, while a fire hose of daily deals lives in the Hot Deals forum. Search for a product name or model number to see any deals related to it that have been reported. 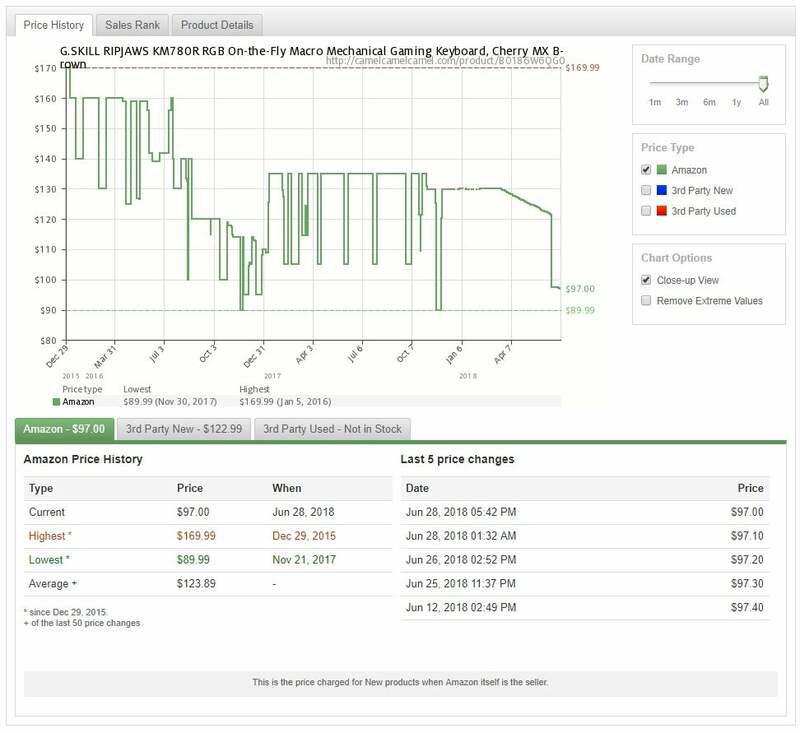 Not all products will have results (or relevant results), but sometimes you’ll be able to figure out the last best price on a product and when that was. If you plan to take advantage of Amazon’s Lightning deals, which don’t reveal the sale price until the deal starts, doing this research in advance is particularly useful. When a Lightning deal goes live, you’ll know immediately if it’s worth your time. 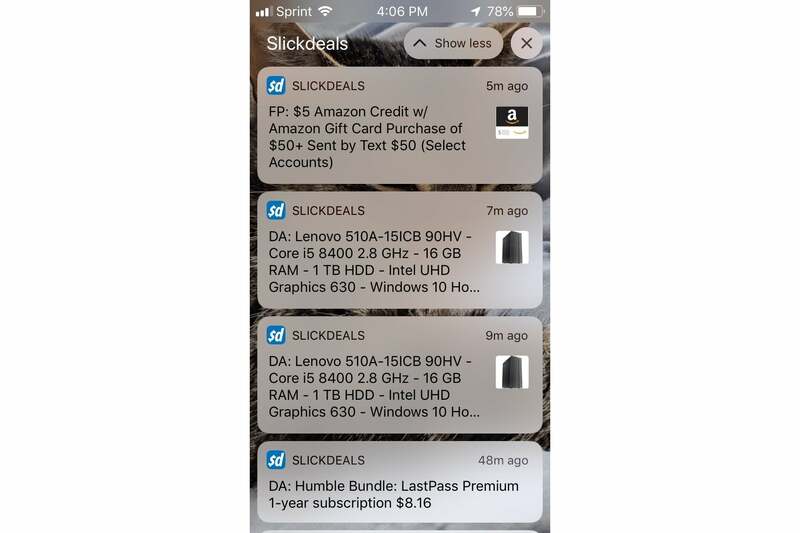 If you sign up for a free account on Slickdeals, you can set up to 50 different deal alerts that can ping you via email, the Slickdeals mobile app, private message through the site, or desktop browser notifications. (You’ll receive a notice whenever a member posts a deal that matches your keywords.) These alerts can be customized based on popularity and forum. Amazon offers a similar service for its Lightning deals, which are available for only a limited time on the site. (They expire at a certain time or when the allotted inventory runs out, whichever comes first.) If you use the Amazon app on your phone or tablet, you can get alerts when the deal starts by “watching” the deal. Email newsletters can be a good source for deals, for a few reasons. Some deals are only available if you’re already on the store’s email list. Newegg, for example, often creates coupon codes that only work for email subscribers. Other sites offer codes for discounts and free shipping through their email newsletters that don’t always show up on deal and coupon sites. Then there are the places with niche items that rarely go on sale (like Apple products). Even if the product still stays at normal price during Black Friday, some vendors will at least provide a gift with purchase. Note: If inbox clutter is a concern, you can use either a filter or a junk email address to collect all the email in one spot. Typically, you don’t need to use the same email address at checkout for the code to work. Pay attention to the retailers that favor bundle and combo deals. That’s typically Newegg and Micro Center, but on occasion other stores offer them as well. You can save quite a bit this way–for example, Micro Center often offers a combo discount for buying a CPU and a motherboard at the same time. That’s in addition to already-reduced prices on both components. Curious to know which stores we frequent the most? These are the places we typically make our own personal purchases at: We’ll also go directly to the manufacturers’ websites as well: Dell, Microsoft, Google, Ring, etc. Return policies vary across stores, but most U.S. retailers offer extended windows for returns and exchanges for items purchased in November and most of December. Be sure to read the return policy for each site you buy from. Other considerations: Before buying, check to see if it’s easy to return the item, and if it will cost you anything (like for shipping). If you’re not careful, and you end up not needing the item, you could lose money on the purchase. We’ll have several curated lists for Black Friday tech deals, which we’ll release as the deals reach critical mass. (We’ll add the links below.) You can expect to see our picks for the best early deals first. Here’s to hoping for another good year of bargains!